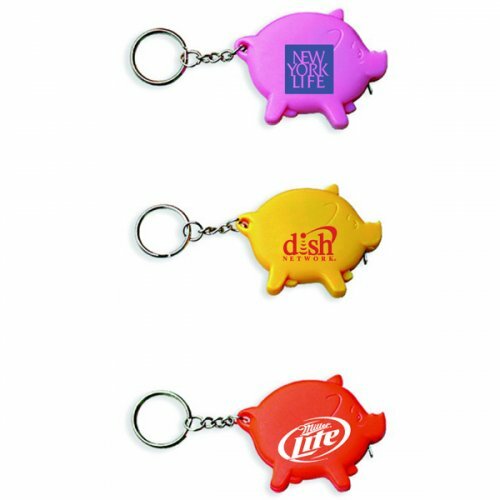 Promotional pig shape tape measure animal keychain makes a very reliable and affordable promotional choice for marketers who wish to play long term innings. 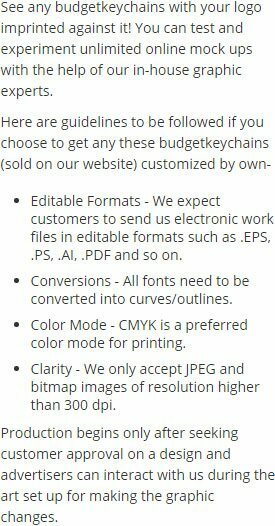 You can gift this animal keychain after getting it imprinted with logo or your brand symbols during next tradeshow or promotional event. Banks, schools, financial services, insurance agencies and many others can seek this keychain for value building at small investment. It largely fits into scheme of small budget marketers who expect to grab huge benefits from this investment. Request a quote to know discounts that can be grabbed by ordering this promotional pig shape tape measure keychain in bulk. Features – Pig tape measure with level and key chain. Solid ABS construction with 39" metal tape measure. Larger imprint area. Product Size – 2 1/4" x 1 3/4". Available Colors - Blue, Black, Green, Red, Pink, White, and Yellow. Product Size : 2 1/4" x 1 3/4"